Remember when we were little and made a fort of blankies? We knew we were safe, snug and secure. We believed we were invisible and that magick was real, and most importantly, we knew how to have FUN! The Sonoma County fires created quiet the opposite experience. Terror and trauma were triggered. Adrenaline coursed through all of our veins, and there it will remain until we take conscious actions to discharge it. Did you know, one secretion of stress hormones stays in the blood system for days? Many functions in the body, including, the rest and digest systems are temporarily put on hold until the danger has passed. It contributes to 80% of disease, leaving us feeling wired and tired, crashing instead of deeply resting. The great news is the negative effects can be reversed! Since stress is inevitable , come empower yourself with the Tranquility Zone Technique, a collection of my best tools and treasures from 30 years in the Healing Arts. 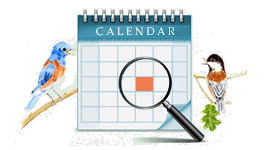 Join us on November 3rd for “Self Care for Turbulent Times: Tools to Release, Reboot and Refresh,” 7:30-9:30 at the Songbird Center. You will learn how to neutralize stress so you may re-claim your precious life energy, and apply these tools to the rest of your life. Self Care, to me is the same as Self Love. Take charge of your life and find your way back from the chaos of the storm to the still center within. Everyone in your life will also feel the effects. The benefits are a calm nervous system, a clear and productive mind, deep restful sleep, and more! 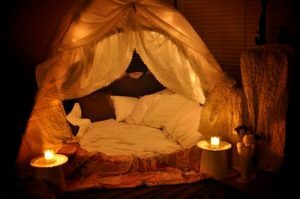 Now doesn’t this sound like an adult version of the Blankie Fort…..a place from inside your precious self where you can be safe, snug and secure.